It’s raining! It started yesterday evening, stopped after a couple of hours and it started again this morning at abut 11 until abut 15 minutes ago. It’s 11.40 am and I’ve had a busy morning. I cleaned the van after breakfast and hoovered dog’s hair, as Bramble is still moulting. I put the hoover to charge while I walked into Marςon to buy some food for tonight. I was going to cycle there, but I had a flat tyre, which turned out to be a tear by valve, which cannot be fixed, so I need new tyre. The walk to Marςon only takes about 10 minutes and it’s fairly pleasant along the canal. 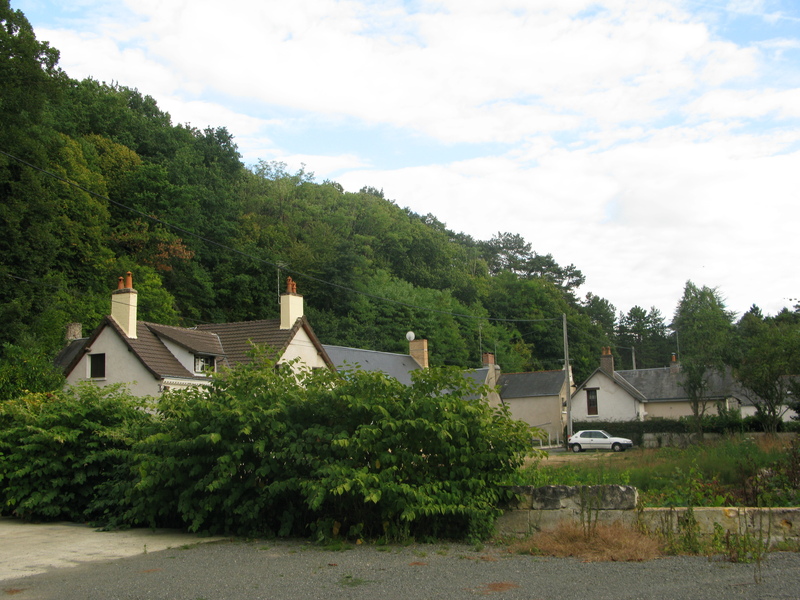 I bought a fruit tartelette at the Boulangerie and then walked to the other side of the village for the boucherie. I only wanted a couple of chicken breasts, but lady told me it was only a small chicken and it’d be better to take it whole, so I agreed and she cleaned if for me. I also decided to buy 1/2 dozen eggs and, everything being free range, cost me a whooping 16.95 euros!!! I would have never paid that in England, but was too embarrassed to say it was far too expensive, so I paid for this daylight robbery and promised myself not to buy anything else in there again. I hate being ripped off. I walked back to campsite looking forward to coffee and cake only to find out that hoover charging has tripped a fuse and now we have no electricity, so we’re running the fridge on gas for now while Adonis is trying his best to fix it. This has happened before in Germany and it eventually fixed itself, but it’s annoying and a worry. I’ll be making a chicken casserole tonight, chicken curry tomorrow and bacon and eggs the next day to make the most of my expensive purchase. It’s still raining at 11.55 am! NOT A GOOD DAY!!! 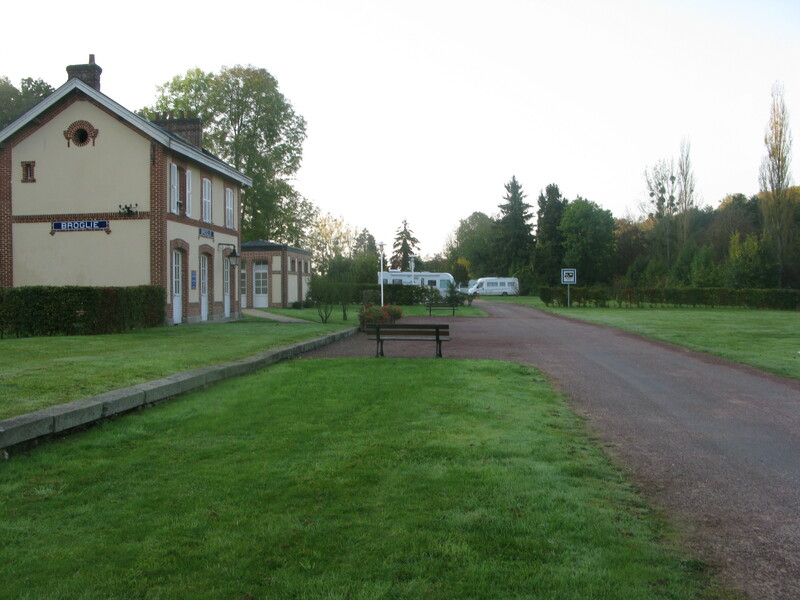 It’s only proper I should start this new diary book at this most beautiful campsite on the Vallée du Loir. It’s just 6.15 pm and I’m making chilli con carne for tonight’s dinner. Adonis is fishing about 15 metres away from the van and Bramble is lying peacefully licking his paws by my feet. I’m also enjoying a glass of Cabernet D’Anjou Rosé wine watching the sunset to my right and nothing could be more perfect than this moment. I must remember this next time I feel stressed out and try and bring myself back here with the power of the mind. We set off from home in Bognor Regis just before 4 pm and only encountered some minor delays on the M25, but made it with plenty of time to Folkestone and got on the 7.20 pm crossing as planned. 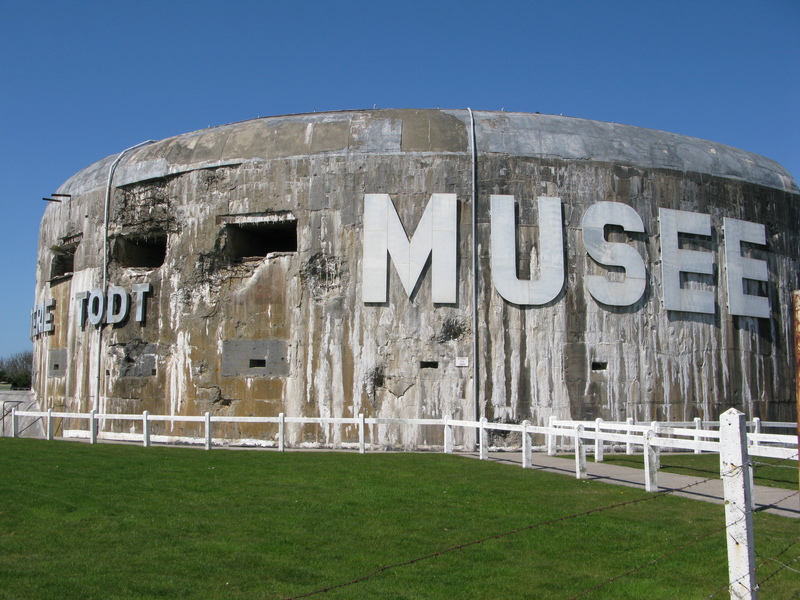 One in France, we just drove to Wissant aire, off junction 40 on the A16 south of Calais and on the D940, between Cap Blanc-Nez and Cap Gris-Nez. We were there for 9.15 pm (local time) and I quickly heated up a pizza, as it was too late to do anything else. On Saturday morning we drove to Auchan in Boulogne, junction 31 off the A16, where we stocked up on essentials, wine and beer for the next few days. 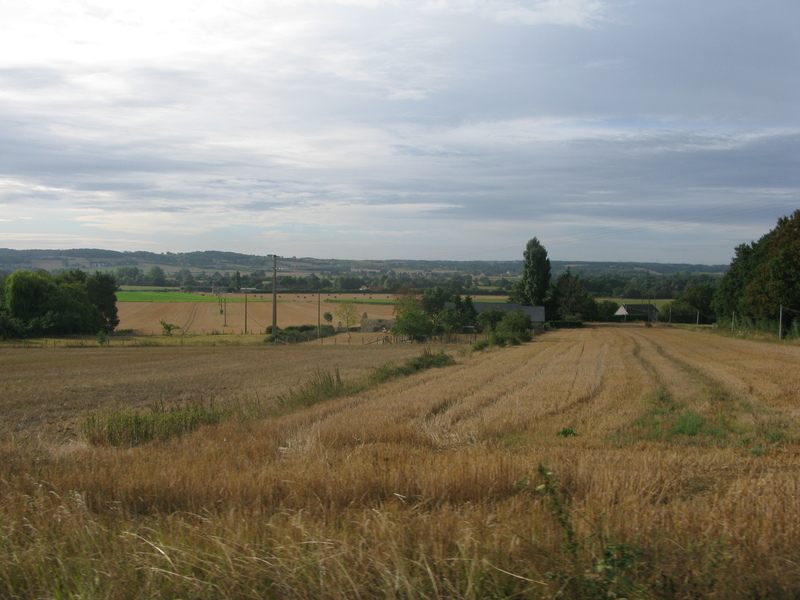 Then we carried on merrily on our way on A16 south towards Abbeville, where it joins the A28 southwest to Rouen. Once again I glanced longingly at the Cathedral I hope to go and visit soon, as it really is quite an impressive sight from the road. Just south of Rouen, at Château de Robert-le-Diable, we joined the D840 and D438/E402 towards Bernay and finally the aire at Broglie, where we arrived just before 2.30 pm. After a late lunch of baguette, French cheeses and saucisson, I took Bramble for a walk along the charming Charentonne river and enjoyed and marvelled at the reflections of the afternoon light on the water, as well as the ancient water mill on its banks. We spent a very peaceful evening and quiet night and we left this morning just after 9.30, after taking pictures to capture the calm and beauty of the place first thing in the morning. We followed the D438 south, past Alenςon, the D338 towards Le Mans, round the ring road and south by the 24-hour race circuit, except that road was shut due to some sort of marathon and had to take a small detour on the D304 and D140 before being able to join the D338 again at Mulsanne. 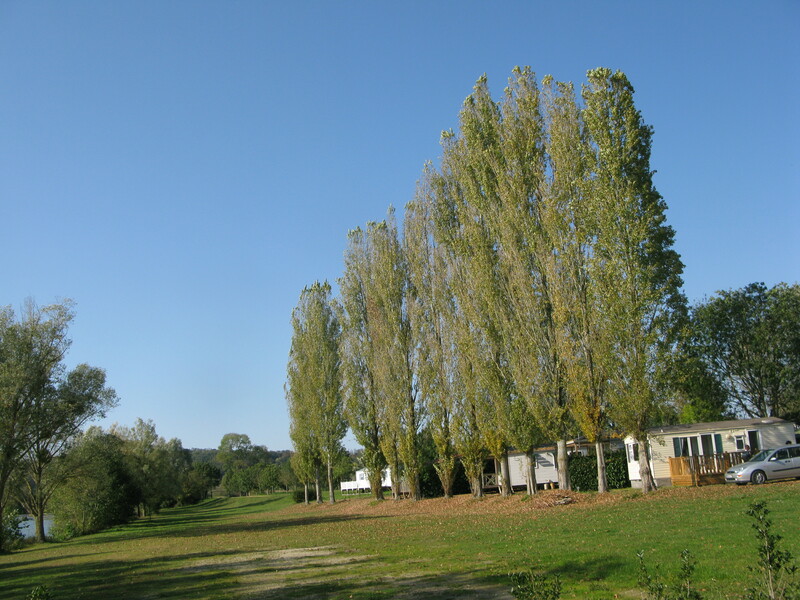 After that it was plain sailing to Château-du-Loir and Lac des Varennes, where we arrived for 12.45 pm to find reception closed for 3 hours until 4 pm, so we found our favourite pitch (Number 209) right by the lake and set up home for the next week. It’s been very hot all afternoon and have been outside until 6 o’clock, enjoying the stunning views from the lake and sunset. I finally registered at 5 pm, as there was still nobody in reception at 4, when it was supposed to open. 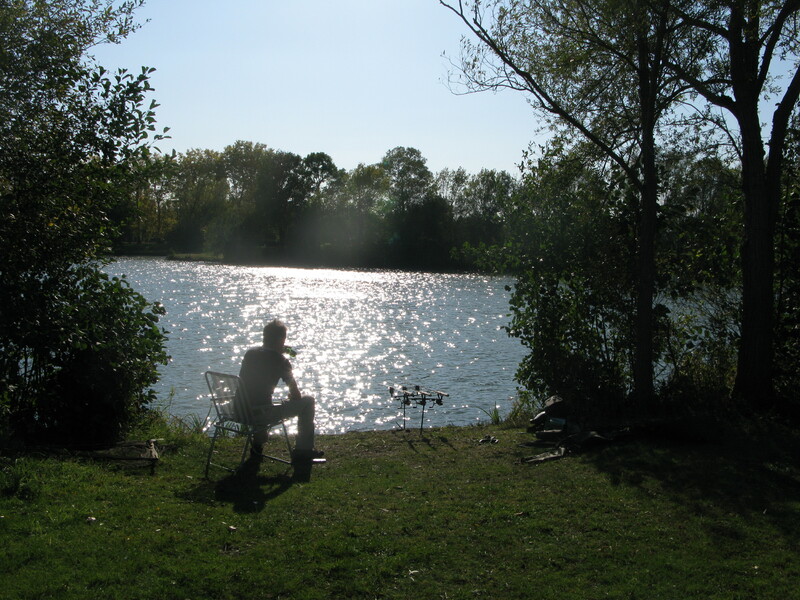 The bloke was impressed we’d already got our fishing licence from the Tabac at Marςon, which we knew from previous experience: only 18 euros for 2 weeks! I forgot to get password for WiFi, so must do it tomorrow when I collect my baguette in the morning. Here we are again on our last day before our journey back to England. 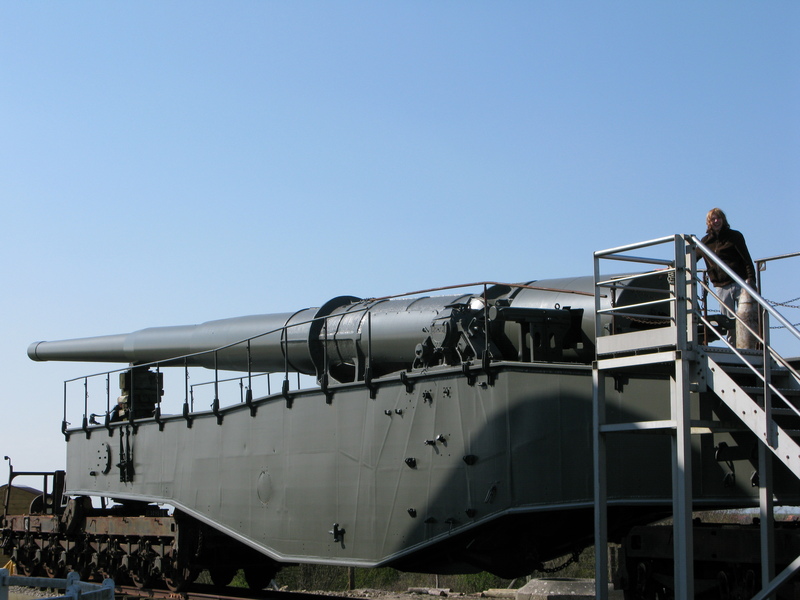 We’ve just been for a walk with Bramble through the woods, past the Nazi Bunker Museum Todt and its impressive Railway Gun K5. To our amazement, we discovered 3 more bunkers in the woods, all enormous, and we could see some more from the walls of one of them. 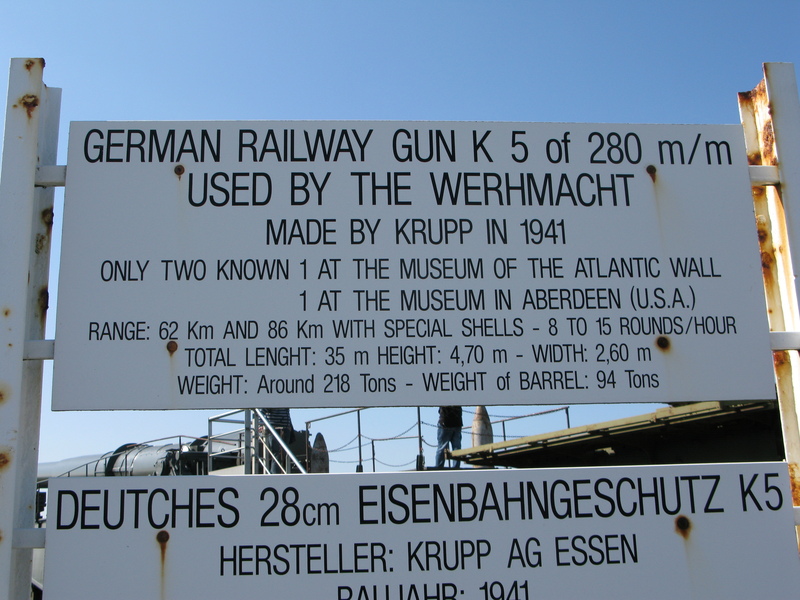 We counted 7 through the binoculars and it really makes you appreciate history and the sacrifice of all the people involved. 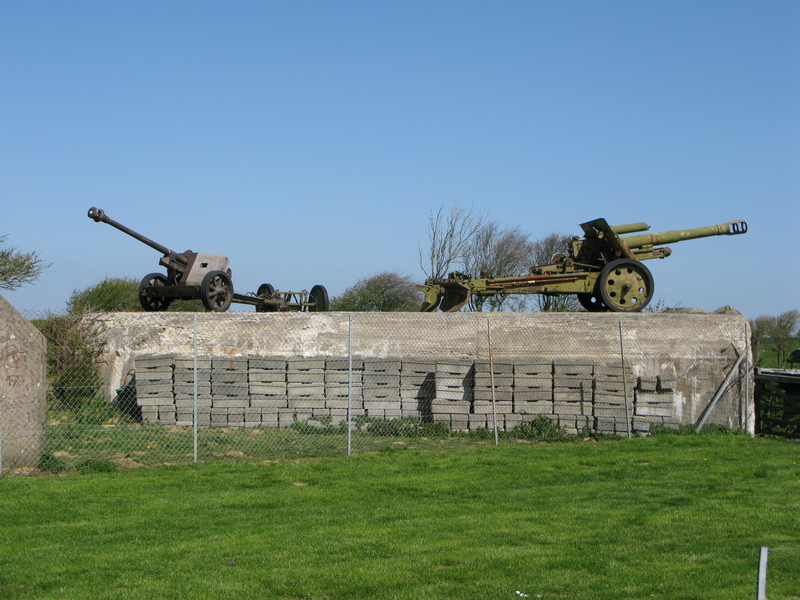 We’d like to travel further south along the coast and visit the D Day landing beaches next time, like Omaha. It’s quite cold in here and I could have done with a pair of jeans, a jumper and trainers for the muddy tracks in the wood, but I survived in my Ripcurl shorts, a t-shirt, a cardigan, my water-proof jacket and my flip-flops. 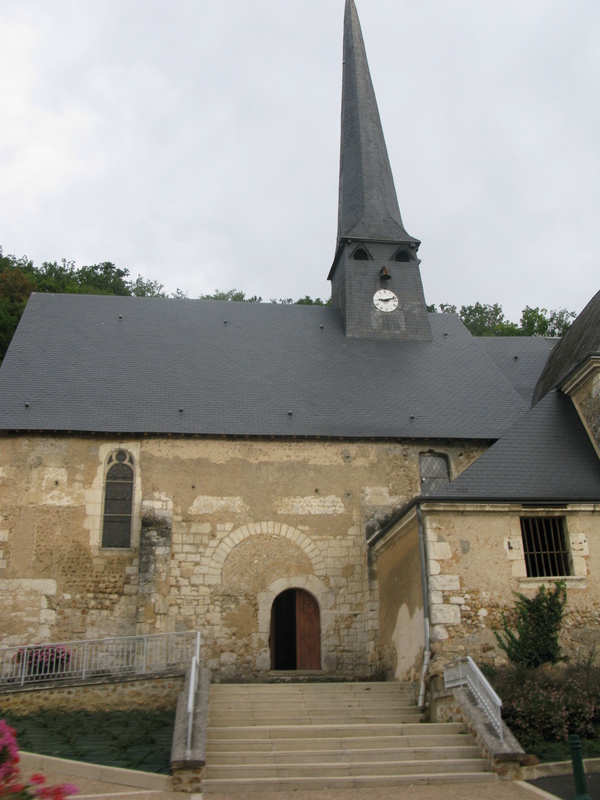 We were at Montreuil yesterday, where we took Bramble to vet. He was much calmer this time round and din’t bolt for door. It was pleasant enough in the afternoon, but heavy rain hit us after 6 pm. We took advantage of pizza van in campsite and ordered an ‘Andalucian’ with chorizo and hot sauce. We spent the evening reading, crochetting and looking at maps for future reference. We had an early night and got up early too. It was nice to see the baker’s van by reception, where we got the daily baguette from. We set off just before 10 am and arrived here by 11. We bought some beer and lovely mango lemonade before walk and are about to have lunch as stomachs are gurgling already. This will probably be my last entry of this long and interesting holiday. So until October, then. Bye. 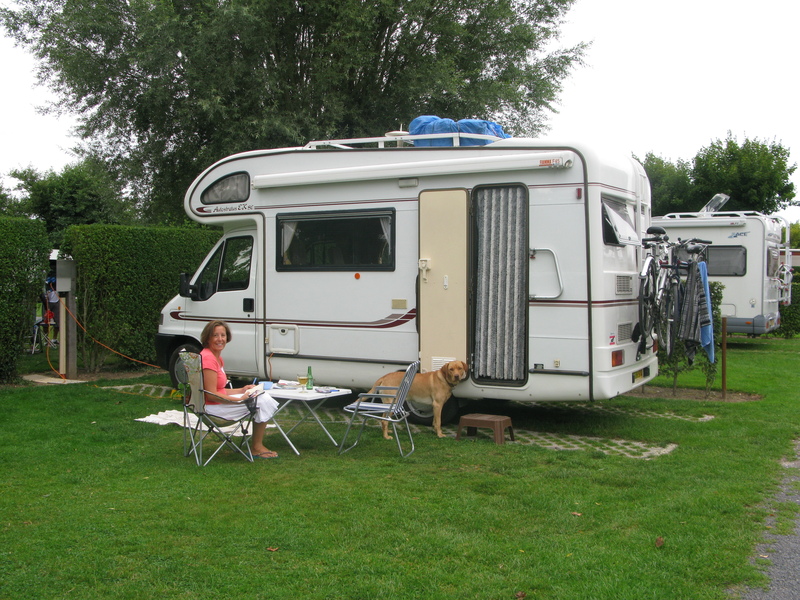 So 48 days later, after lots of fun, we’re in Audinghen, just outside Calais. It’s been a really lovely holiday. We just want to come back again. Proof, I think that the van life is ideal for us. At least we’ll be back again in October and this thought always keeps me going at work. 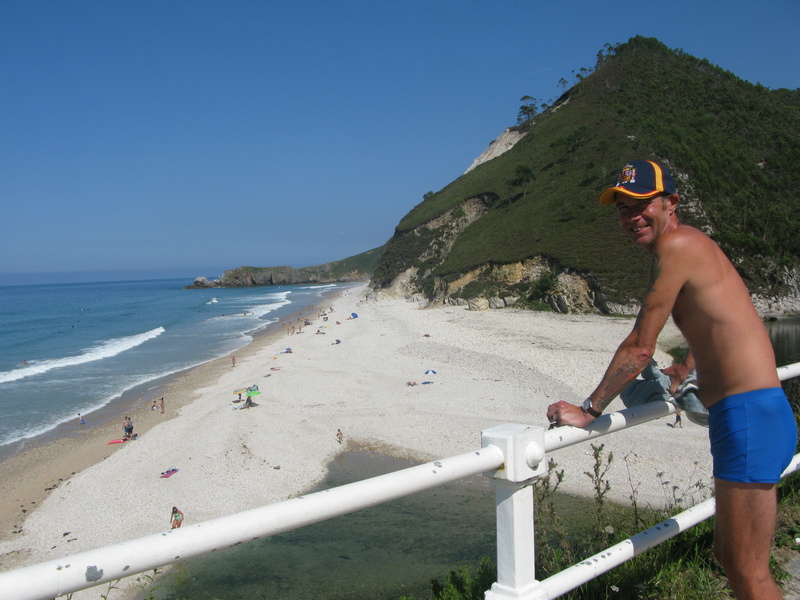 We earn the money there and then enjoy it here. One third of the year on holiday in France – you can’t complain. 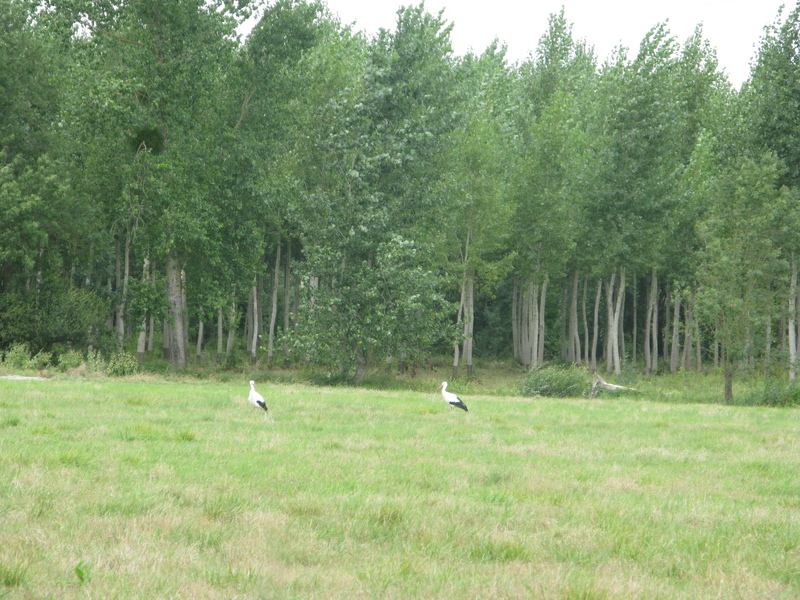 Going to do nothing much for the rest of the day – we have a very early start tomorrow and then home. 5 days and back to school after a special experience. May write tomorrow! We are at a France Passion site right in the middle of the Loire Valley and very pretty it is too (Sarthe, Pays de La Loire). We set off at 8.30 am and stopped for supplies at Au Chan, just outside Tours. 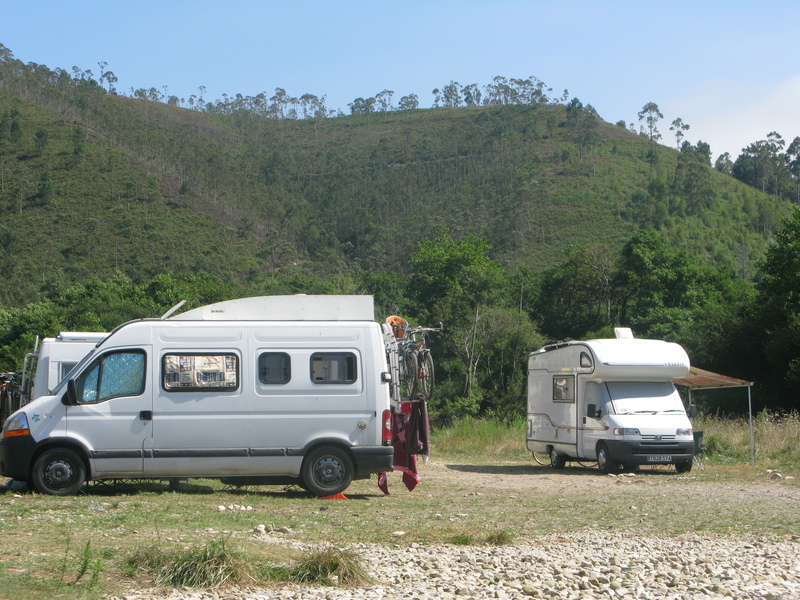 Once again, we were dismayed at having to pay 33.70 euros for the use of the motorway from Saintes, but can’t be avoided if we want to make good time. 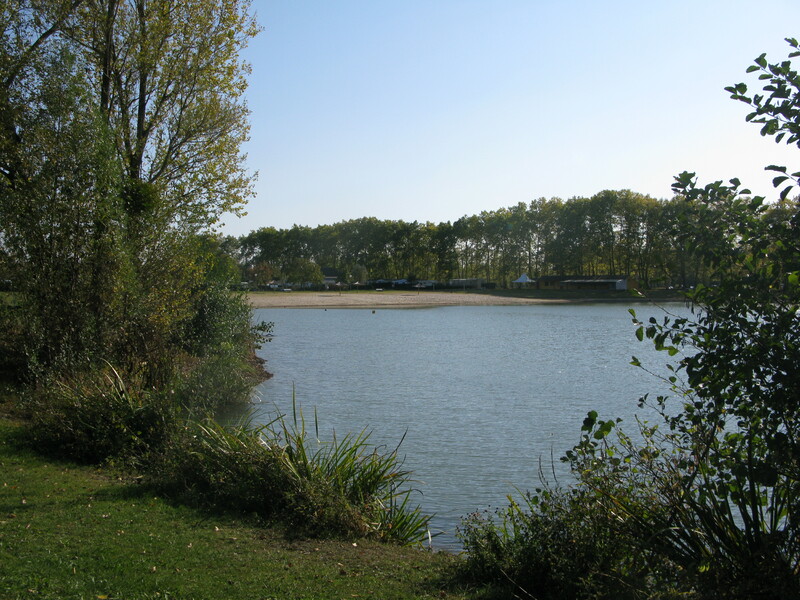 We arrived here at 2 pm after trying to find a spot by river or lake at Chateau-du-Loir and Port Gauthier, but found that it had been taken over by Country Park, so we used our France Passion guide to find somewhere to rest. 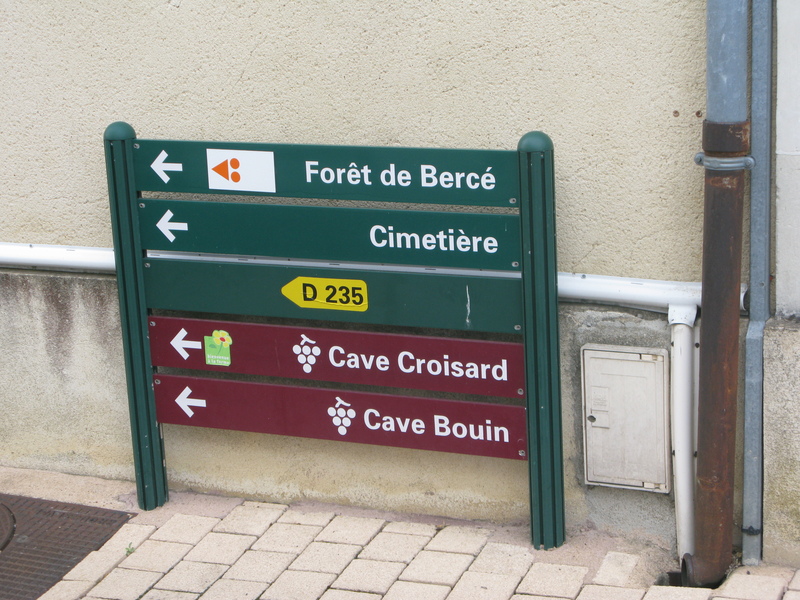 We had lunch, siesta and took Bramble for a walk at 4.30 pm and then stopped in village for beer and at the Cave to buy some local wine (delicious Jasnières Blanc) to take back as presents. The cave is run by a very friendly wine grower, who made us feel very welcome and we were able to try various wines before making choice. 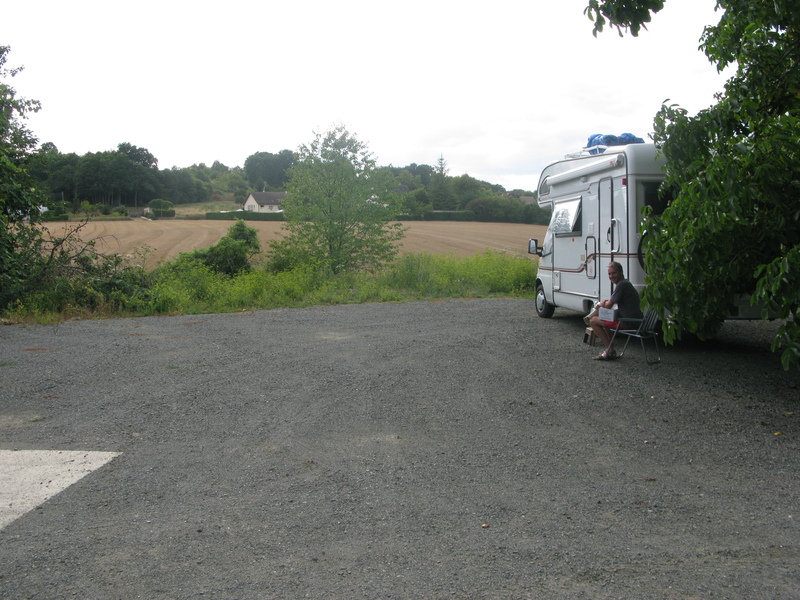 We are the only motorhome parked here and we are really enjoying the peace and quiet and lovely surrounding scenery. A place to come back for sure. Adonis is cooking tonight, some lamb with couscous again, so I’ll probably finish my book. 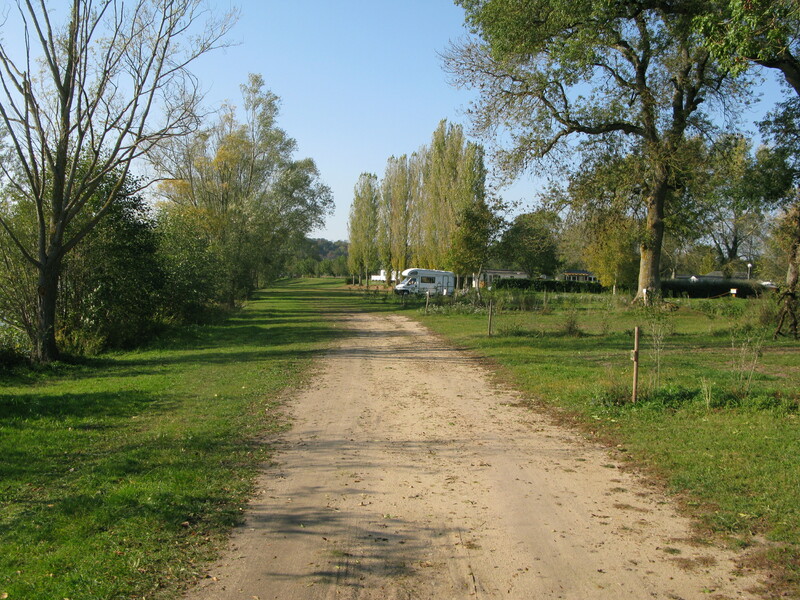 Wild camping in Dompierre sur Charente. 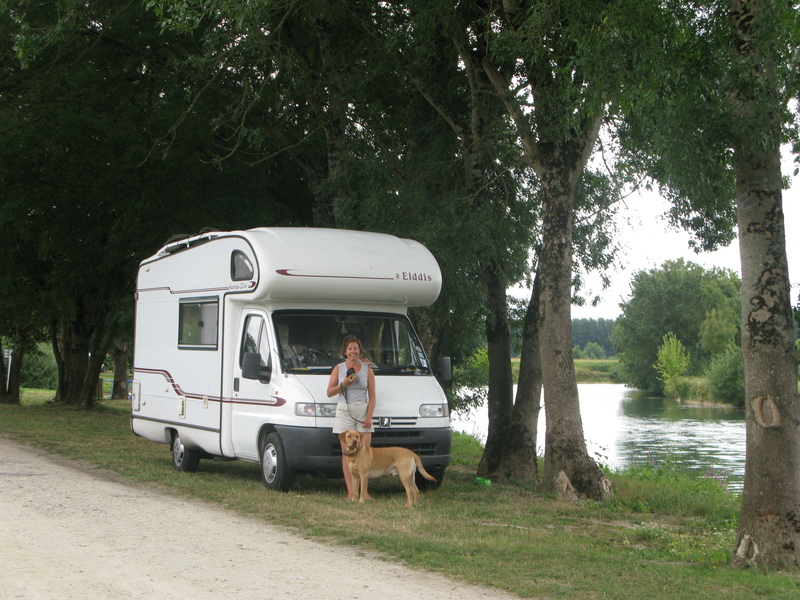 Here we are again by the bank of the Charente river as we were on 14th July. We left the campsite at Leon just after 9 am and made it here before 1 pm, so not a bad run altogether, with exception of some slow traffic at the exits near Bordeaux. It’s nice and cool and much more pleasant than further down south. We had lunch and a nap and just taken Bramble for a walk and Adonis’s had a swim, so he’s drying outside while I write. 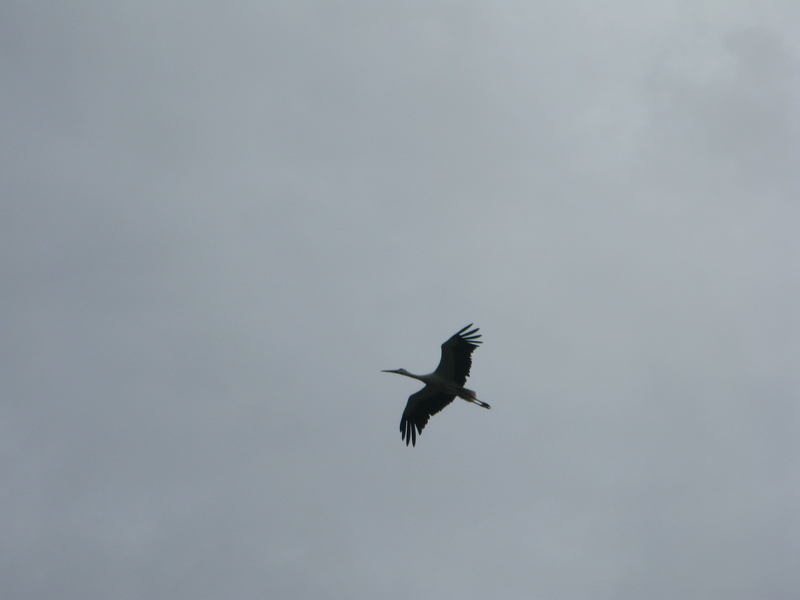 We saw a copule of majestic storks while walking Bramble and Adon managed to take some pictures of them on the ground and in the air. It should be a quiet night, just heating up some leftover chicken from last nights’s dinner and I’ll be making patatas bravas. Off to somewhere north of Tours tomorrow, as we don’t seem to be able to come up with a suitable aire where to stop the night. A hard day! What should have taken 3-4 hours took 6! We left Antolin at 8.15 am, no problem, and shot across Spain, but queues and jams at tolls meant getting into France took longer. We arrived at the aire in 38 degrees of heat, but more jams and no space. So we had a bit of lunch and went for a swim. We then spent another hour trying to find a space to stop, but there were none. 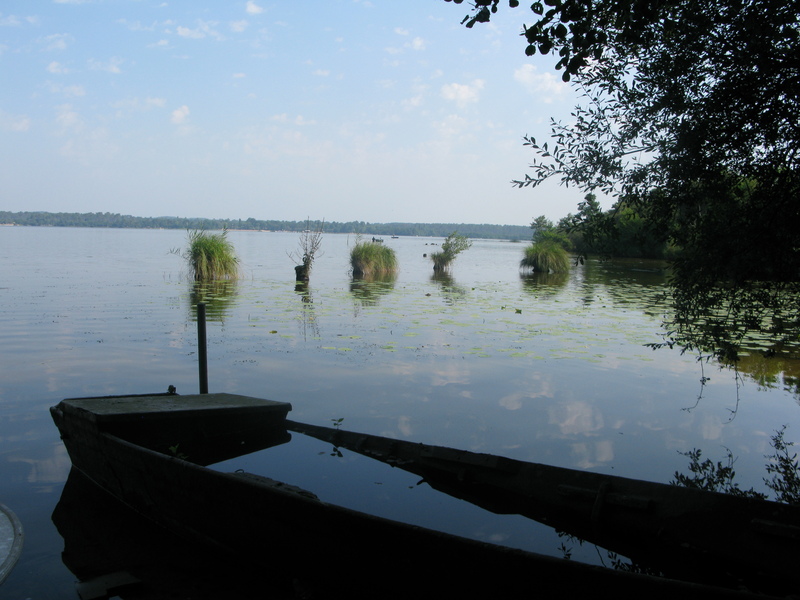 Still very hot, sweating away, we eventually had to go to a site, which is surprisingly reasonable – Punta Lago in Etang de Leon, southwest France (junction 11 or 12 off the E70/E5). We’ve got shade and a pool, it’s clean with a big space and your own water supply on your pitch: very good. I think we might stay another night and then head to Cognac. Very hot today! We reckon on getting near Calais for Friday morning should be no problem if the clutch holds. If it doesn’t, at least it’s easy to fix (I think). Anyway, still a very very good holiday that we will remember for years to come. Only a week left!